Keen followers of Nigeria’s political scene will waste no time to attest to the cloudy political situation building up ahead of the 2019 general elections. The polity is growing with so much intensity that is undoubtedly bringing governance to a near standstill. If it’s not a case of abandoning governance for political campaigns and decision making that is based on political sentiment, it becomes a situation of cold war driven by political re-alignment, influenced by setting the stage for projecting aspirants to vie for different political positions. While the political uncertainty may not be so apparent at the State level, except for Imo, Kaduna and Rivers States, the intriguing and hazy development are clearly evident at the National level. Issues such as delay in the passage of the 2018 budget by the National Assembly, President Buhari’s rejection of the amended Electoral Act as it affects election time-table, his refusal of assent on the Peace Corps Bill passed by the National Assembly, unwillingness by the National Assembly to screen nominees of the executive to fill vacant positions in key MDAs as well as the one year extension given to All Progressives Congress, APC executive from the federal to the ward level, are pointers to implosion in the ruling party that is gradually gearing up for eventual explosion. 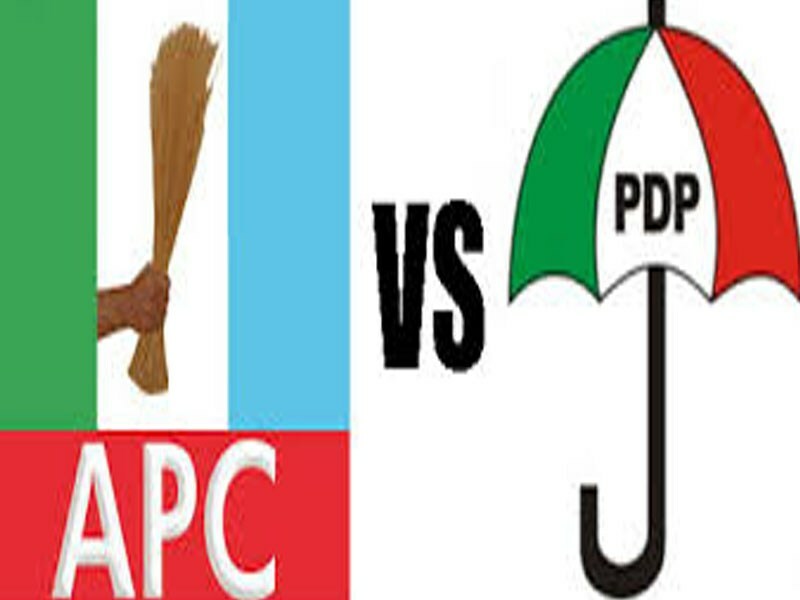 The rejection of tenure elongation to the Chief John Odigie Oyegun executive by the Lagos State Chapter of the APC, even though leader of the party, Asiwaju Bola Ahmed Tinubu was given the task of reconciling aggrieved members of the APC, attest to the fact that the centre can no longer hold in the ruling All Progressives Congress. Asking Tinubu to mend fences in the APC and at the same time extending the tenure of Oyegun executive by a year, despite the former Lagos State governor’s alarm that his ex-Edo State counterpart (Oyegun) was frustrating his reconciliation efforts, is the height of APC growing confusion and testament of a collapsed political party. The resultant effect is that the cold war which has been in the party for over two years between Buhari/ Tinubu on one path, versus the Senate President, Dr. Bukola Saraki on the other hand as well as Tinubu versus Odigie Oyegun, has eventually blown open. It is only a matter of days, weeks and months for many members of the APC who have been romancing politicians from other political parties to openly dump the ruling APC. The story is not any different in the main opposition Peoples Democratic Party, PDP, where the Prof. Tunde Adeniran/Jerry Gana group has openly jumped ship to the seeming re-emerging Social Democratic Party, SDP. This is due to their disagreement regarding the last National Convention of the PDP and the perceived over-bearing influence of governors of Rivers and Ekiti States, Nyesom Wike and Ayodele Fayose respectively. With 68 political parties already registered by INEC and about 103 seeking further registration, the only question on the minds of keen political watchers is where will the new political Mecca be? Dr. Bukola Saraki and former Vice President Atiku Abubakar are two factors tearing the APC and PDP apart, because of their 2019 Presidential ambitions. Even the re-emerging SDP which looks like the next force appears imminent to face another crisis of confidence among its ranks, due to the political manoeuvring/undercurrents of Saraki and Atiku. Indeed APC and PDP face mass exodus of members, yet the political realignment is heavily pregnant.